I’m happy with peanut butter toast most days. 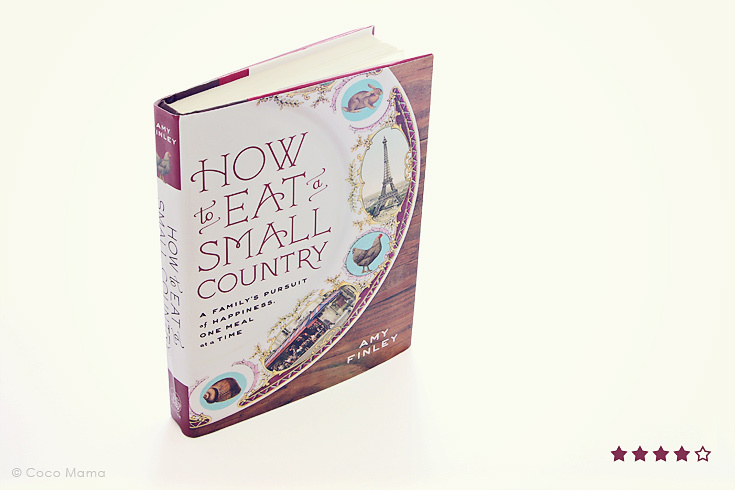 But this book, How to Eat a Small Country , gave me a glimpse into how food shapes our relationships. Author Amy Finley, winner of The Next Food Network Star, makes a controversial decision to leave her television career and move her family to France in a desperate attempt to save her marriage. The book describes her family’s culinary journey as they weave their way through rural France, slowly tasting the culture and searching to quench their thirst for happiness. Bad food puns aside, I found this book to be a refreshingly honest and (sometimes) hilarious account of the struggle of balancing your family life with your passions. I laughed out loud at least twice and chased away a few tears. Great read.